The 1931 dwt freighter Helga sank off the Caye Caulker, Belize. 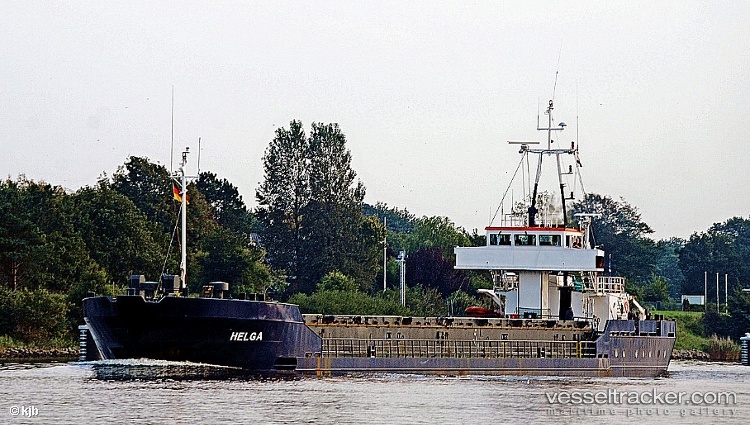 The Helga with 11 crew and a cargo of salt from Panama was proceeding to Mexico when it encountered bad weather with 8 to 15 foot swells and 15 to 25 knot winds. The master of the vessel decided to seek shelter behind an island, but the vessel began to take on water and developed a list. The master of the Helga pointed the vessel towards shore and sent out a distress call. The Helga capsized onto its side and the crew jumped off with the Helga’s engines still running. Eight of the 11 crew were able to make it to life rafts. They were rescued by the Belize National Coast Guard. The Coast Guard reports they were suffering from the cold and de-hydrated, but in good shape. The 3 missing crew, including the master of the Helga, had life jackets on when they abandoned ship. Efforts are being made by the Coast Guard to locate these men.